Bahia is located in the north-eastern part of the country on the Atlantic coast. Geographically it comprises the Atlantic forest or “mata atlântica”; the “recôncavo” region radiating from the Bay (the largest in Brazil) – site of sugar and tobacco cultivation; and the “planalto”, which includes the fabled “sertão” region of the far interior. The state has the longest coastline in Brazil. Bahia has some of the most beautiful beaches in Brazil. The more touristy resorts are generally north of the capital São Salvador. 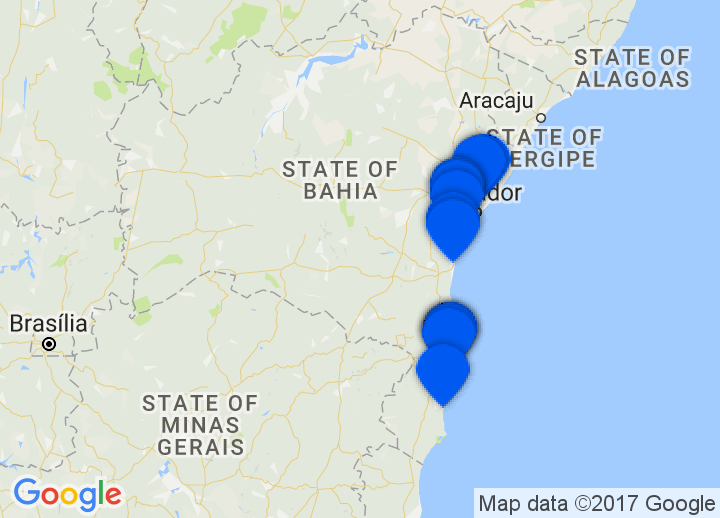 The best sea side hotels and resorts of Bahia can be found on the peninsula of Maraú, in the famous village of Trancoso and in the far south of Bahia.